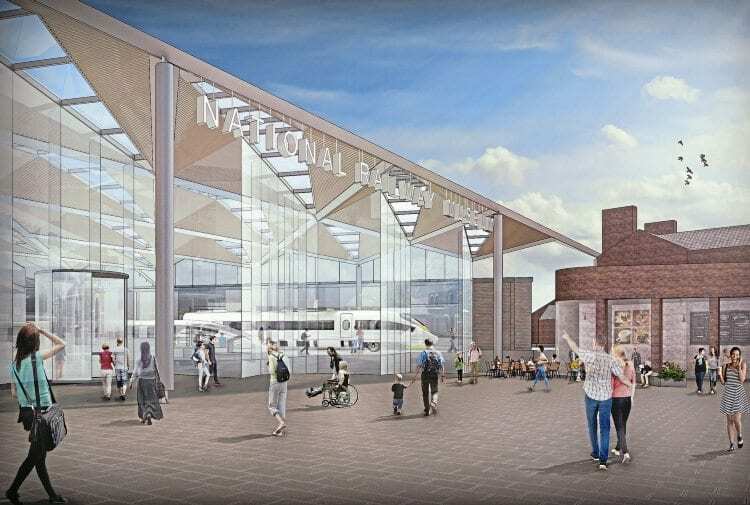 Will Rocket become NRM’s star exhibit in £50m redevelopment? GEORGE and Robert Stephenson’s Rainhill Trials-winning 0-2-2 Rocket of 1829 may be destined to become a centrepiece exhibit as part of a £50million redevelopment at the National Railway Museum in York. Proposals presented to industry professionals on January 8 in relation to the York Central cultural quarter development revealed a seven-year plan to redevelop the Leeman Road site in time for the museum’s 50th anniversary in 2025. As well as the possible transfer of the original Rocket from the Science Museum in London, the plans outline a complete re-display and re-interpretation of the main galleries within the museum, including the replacement of the Works workshop area, with a new £5million hands-on interactive area called Wonderlab. The two ‘halves’ of the museum on either side of Leeman Road could be unified with the re-routing of the road and construction of a new building – the Central Gallery – connecting the Great Hall with Station Hall. The loss of The Works gallery, which allows visitors to view ongoing repairs and restorations on museum and other vehicles in a ‘live’ environment, in favour of Wonderlab, could be seen as backward step. However, the NRM claims the new interactive space “will create a wonder-filled environment where young minds can discover their own potential through building, testing and learning. This could include the chance to have a go at pulling a locomotive as well as exploring how fast things travel and how they move”.